It’s your pride. It’s your security. It’s the place you wake up every morning and the place you return to every evening. It’s your home, and owning that home is a major accomplishment. There are many considerations that go into purchasing personal property. What is your financial situation? What are your current needs? How might those needs change moving into the future? Do you plan to insure against damage from tragedies such as fire, theft, or flood? Buying a house is a massive financial goal, and many prospective-purchasers spend years saving up to properly afford, furnish, secure, and insure that home. It’s no secret that residential areas tend to form in blocks. Whereas young renters often live in more urban centers—with their units interspersed among retail, industry, and service venues—homeowners flock together in neighborhoods and suburbs. Not all cities have an even distribution between these renters and owners. As it happens, more of those owners tend to end up in some communities than others. Curious about these preeminent cities, Insurify, a home insurance quotes comparison site, combed the data to find the top 20 cities for homeownership by state. National rate of homeownership. The national rate of homeownership is 64.8 percent. That said, these homeowners are far from evenly distributed. In fact, there are only 16 states nationwide that are home to even a single mid-to-large-sized city with a home-owning population that exceeds this nationwide average. In the remaining 34, renting remains the more common option by far within these metro areas. Price of admission. It’s common knowledge that affording a home comes at no small price. Therefore, it is unsurprising that the median household income of these high-ownership cities almost always outstrips that of the statewide average. There are two exceptions to this trend in this top 20 ranking: the cities with the highest share of homeowners in the states of Florida and Indiana had average household incomes that fell below their respective state’s median. Honeymoons and housewarmings. While young couples are increasingly opting to live together before marriage, the jump to homeownership is one that is still primarily made by spouses. While 49.7 percent of Americans 15 and older are currently married, the share of married citizens in most of the cities on this list is comfortably higher than the national rate. That being said, the cities with the highest proportion of homeowners in South Dakota, Indiana, Idaho, Iowa, and Florida eschew this pattern, with married populations that are relatively smaller than the U.S. standard. 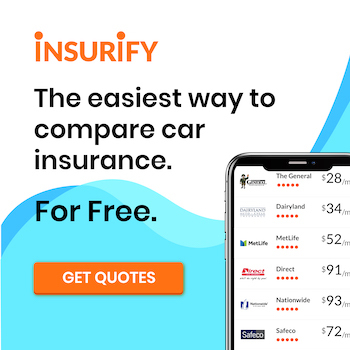 The team of data scientists at Insurify, a homeowners insurance quotes site, analyzed data from City-Data.com to identify and explore the top cities in each state with the highest percentage of residents living in homes that they own. All cities in consideration had a population exceeding 100,000 for an analysis that focused on cities that are mid-size or larger. The team also gathered data on average household income for both city and state, as well as the share of married individuals who are 15 and older.